Deciduous spreading tree producing acorns. What’s interesting about the tree is, that despite being deciduous, there is only a brief period when the tree is bare. 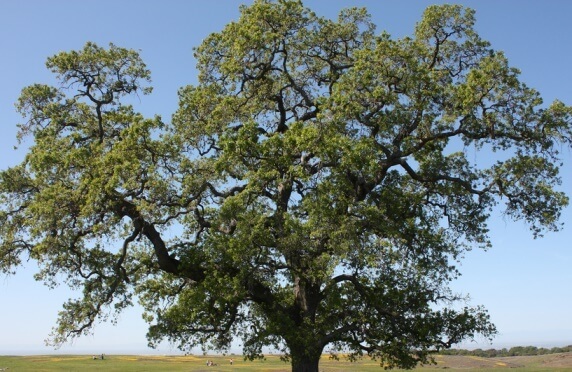 It has medium-sized green lobe leaves, typical of an English oak. Branches droop at ends. Leaves lobed and dark green. Bark is rippled and pewter in colour. Tolerates high heat and alkaline soils. It’s a really tough tree, tolerant to both drought and flooding.